It features a historical map produced in 1790 by Giovanni Maria Cassini that chronicles the three voyages of Captain James Cook. The map includes a red ecliptic line around the globe which shows the path of the sun for every day of the year. 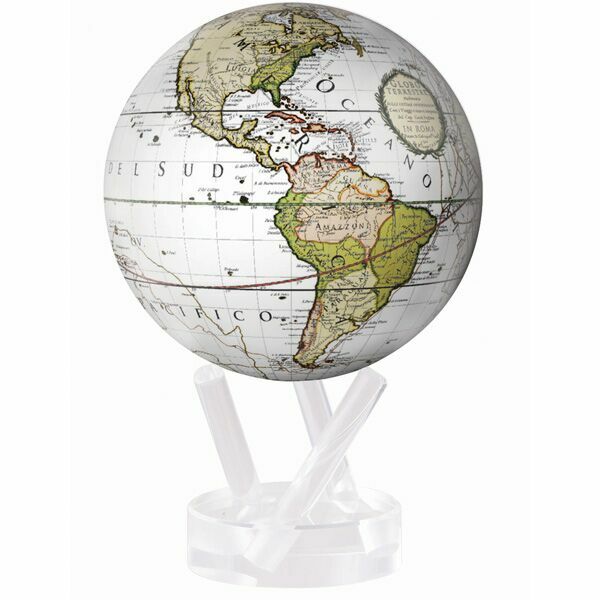 The globe is in Italian.